Apparently, Kings in Buenos Aires travel by bus. 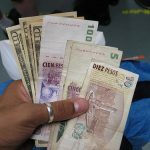 And it’s a bargain too…at just 2 pesso 70 centavos (about 25 US cents) for most journeys within the city (although some shorter journeys should cost 2.50 and other longer ones 2.85, and if you pay in cash it can be up to 5.00). In today’s economy, even a King has to be prudent with his savings. In many ways, colectivos really are the travel choice of Kings in Buenos Aires. There are so many routes, that almost all run with amazing frequency and regularity, even right through the night. Certainly beats the somewhat limited subte (subway) system here in BA, especially in the hot and sticky summer months. And it always beats taxis on value. So, here is some advice on how to catch a bus in Buenos Aires… a task that may seem simple, but is not as easy as it sounds. Buy the pocket-sized ‘Guia T’ bus route book from any pavement kiosk (they are found on almost every block in main avenues) for somewhere around 20 pesos (under US$3). Another option is to use the Mapa Buenos Aires website at http://mapa.buenosaires.gob.ar/ . Here you can type in the address or intersection where you are starting (in the ‘desde’ box) and where you are going (in the ‘hasta’ box) and the website will show you what kinds of transport you can take and will map the route for you. Use the front section of the ‘Guia T’ to find the road and number where you currently are. This should point you towards the correct page and grid number of the maps later in the book. Use this grid reference to pinpoint exactly where you are on the map, making sure you have the right grid square. Got that? Good. Now, find the relative grid square on the opposing page to the map, which lists the numbers of all the bus routes that run through that area. Make a mark on that square to keep a note of it, because now you have to find where you are going. Repeat the above process for where you want to go to, from using the front section to find the road, to finding the square with the bus routes that run through the area you wish to get to. Now, compare and contrast the two sets of numbers in the squares you found. You need to find bus routes than run through both squares. Once you have found these routes, flip to the back section of the Guia T and find the details of each route. Here you will see all the streets the buses pass down, both ‘Ida y Vuelta’ (going and returning). Using this detailed route plan and the map square where you are currently, find a street that the bus will travel down (in the right direction!) near you. Now you have found the street where the bus route you want is supposed to travel down (if you are having trouble, ask a local, they will usually try and help), make one last check that the direction of traffic is going the right way for where you want to go (if it isn’t, you will need the opposite route, which due to the one way road system here in BA, will often be on a different road nearby). Walk along the street you found, on the right hand side, until you find the bus stop for your number. It shouldn’t be much more than a block. Queue up politely and patiently, in the direction away from where the bus will come. If you are still not sure the bus you want to take will be going in the right direction, ask someone else in line “este colectivo (point to bus number) va por Microcentro/Recoleta/Palermo/etc?’, and they will be pleased to help you! Before you get too comfortable standing in line, make sure you have change. You will need coins to pay the bus fare. It should cost 5 pesos, so make sure you have a combination of coins that make up 5 pesos or more (the machine does give change back in coins). They do not accept bills. Ever. Ok, scratch that. Sometimes they do accept bills, but only in one particular situation. If there is a conductor standing at your bus stop, you can pay him with a 2 or a 5, maybe even a 10. But don’t count on that happening – the conductor will most likely only appear during peak hours. And only on the busiest routes. To get a better rate on bus journeys, you can take out a Sube card at certain kiosks and locutorios, for 15 pesos. If you have one of these, the bus will cost you 2.70 instead of 5 pesos and you won’t have to worry about scrounging for change! When you see your colectivo approaching, and it won’t be long, make sure to stick your arm out to stop it in good time. Too late and it might go speeding past. No snoozing! When you get on the bus, say “5 pesos, por favor” (SEEN-CO PAY-SO-S POUR-FAH-VOHR). This means you want a fare of 5 pesoS, which it will usually be. And even if it isn’t, it is simpler to just say this every time. Same goes if you have a Sube card, but this time you say “Dos setenta” (DOHS SEH-TENT-AH). Then, make sure you have your coins ready, and check that the bus driver has pressed his button that changes the digital readout on the money machine (a gray box) behind his seat to read your fare (5.00). If not, give him a quick stare (or perhaps repeat “5 pesos, Por Favor”), and he’ll soon realize. If you are using a Sube card, there should be a yellow card reader at the front of the bus. Make sure the screen reads 2.70 then hold the card up to the black part below the screen until it beeps. When the machine shows the fare, stuff your coins in the top slot one by one, checking they were accepted (sometimes you have to try them a few times), and then your small, thin paper ticket, and any change, will collect in the bottom slot of machine. Grab your ticket and find a seat! If busy, find a rail and HOLD ON TIGHT. 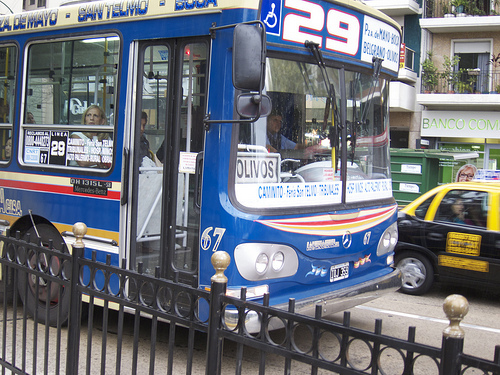 Buenos Aires bus drivers are slightly insane. They enjoy breaking hard at the last moment at junctions, especially if they smell a tourist is on board. And that’s it. Enjoy the ride! Oh. It seems these directions were so long that you opted the taxi instead. Well, they are pretty cheap in Buenos Aires too, after all. 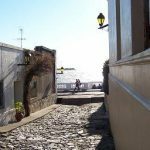 Colonia del Sacramento Day Trip Colonia del Sacramento is a world apart from the hustle and bustle of Buenos Aires city, an excellent day trip across the river that offers you an opportunity to relax in a peaceful, beachfront town in Uruguay. 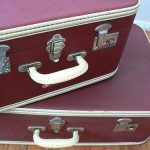 Which Buenos Aires barrio is for me? North, center or south - which part of Buenos Aires will suit you best for your stay? Find out about the areas of Microcentro, San Telmo, Monserrat, Recoleta, Retiro, Barrio Norte, Palermo and more. And before anybody asks the stock question – my favorite route is the number 29. Lots of people go on and on about great bus routes from La Boca to Olivos. Well, of those, the 29 is the creme de la creme, taking you through San Telmo, past Plaza Dorrego, down historic Defensa, round the Chris Columbus statue behind the Pink House, past Plaza de Mayo with said Pink House, the Pyramid de Mayo, Cabildo and Cathedral, up the architectural wonder that is Diagonal Norte, past the Obelisk and over the widest avenue in the world, 9 de Julio, in sight of the Teatro Colon, through Tribunales, past the amazing waterworks building on Cordoba, skirting past Gardel’s hood of Abasto, past my apartment!,before entering Palermo Viejo, going past my girlfriend’s apartment!, into Plaza Italia and the parks, on to trendy Las Canitas, Belgrano and finally Olivos, near the presidential residences. “ciertos reyes no viajan en camello” is a quote from a song by Patricio Rey, very popular rock band with plenty of “quotable” lines. 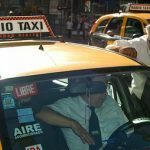 Also it’s not an oddness to see in Argentina bus and truck drivers driving around taking any kind of message, religious, pagan, underground… Good site! Thanks for the info and the nice comment Nico! Whether or not it is common for bus/truck drivers in Argentina to have messages on the back of their vehicles, I still think this is a little odd….it is an oddball kind of joke, suggesting that kings like to travel by colectivo! I just reviewed these tips in preparation for my first attempt manaña. I think I have it–the 110 goes from Recoleta to Palermo. If all else fails, I´ll catch a taxi. Just got back. Your instructions worked flawlessly. We would have been lost without them. Excellent news…I thought my instructions were a bit long winded…so I am glad you were able to decipher them and get the colectivo OK. The 110 is the bus I take from my new apartment to my my job in Flores…it goes there on its route after Palermo. It is certainly very quick between Recoleta and Palermo, I have noticed. As I said in my other comment, I just sent you an email about the races.